By buying this product you can collect up to 14 loyalty points. Your cart will total 14 points that can be converted into a voucher of £0,14. 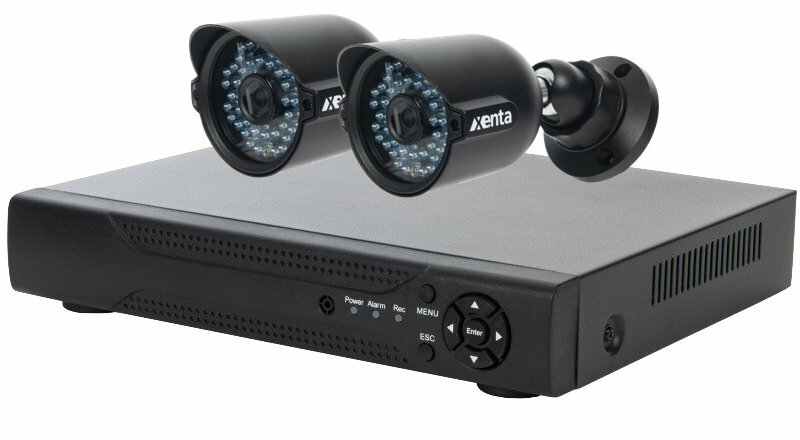 If you're looking for the peace of mind which comes from installing a CCTV system this kit from Xenta is the idea solution. 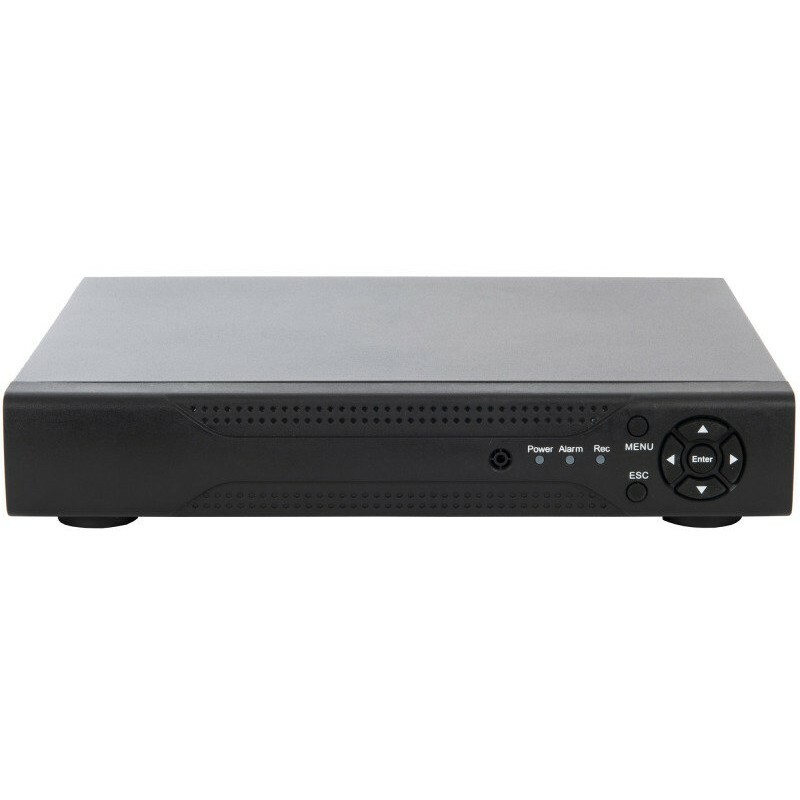 With two bullet cameras and a DVR it's a surveillance system in a box. The only thing you need to add is a hard drive for the DVR. The instruction manual supplied with your system explains how to fit the hard drive. Your CCTV system must be active 24/7. And the footage it records needs to as good at night as it is in the daytime. 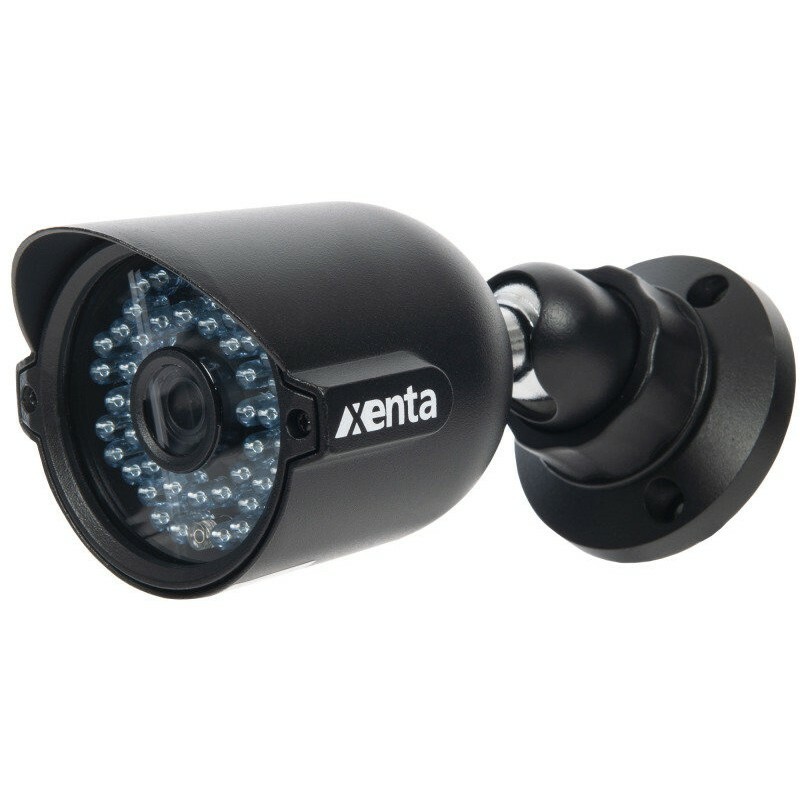 The cameras supplied with your Xenta CCTV system are effective no matter what the lighting conditions. In the brightest sunshine or the darkest night the cameras will record high-quality footage. Each camera has built in night vision for outstanding results day after day. Your home or business will be protected around the clock with high definition footage from your cameras. Download the app and control your CCTV wherever you are. You can control the cameras and review footage from your smartphone. The app is available for iOS and Android phones and is very user friendly. Once downloaded and installed the app supports real time view and remote playback. This allows you to watch live footage from your cameras. You can also record and play or view stored footage at any time. Your CCTV system includes two cameras. Set them up where they can provide the best coverage. If you've had problems in the past with intruders or trespassers you'll know the areas you need to cover. Otherwise the front and back door are the most obvious places where an intruder would look to gain access to your property. Other high-risk areas include any side doors and windows which can't be seen from the street. Also consider covering any outbuildings such as sheds or garages. Don't forget cameras can be used indoors as well and will provide an additional layer of security. 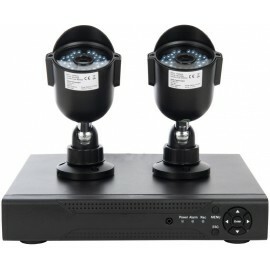 Although your system includes two cameras you can of course add more for extra coverage. 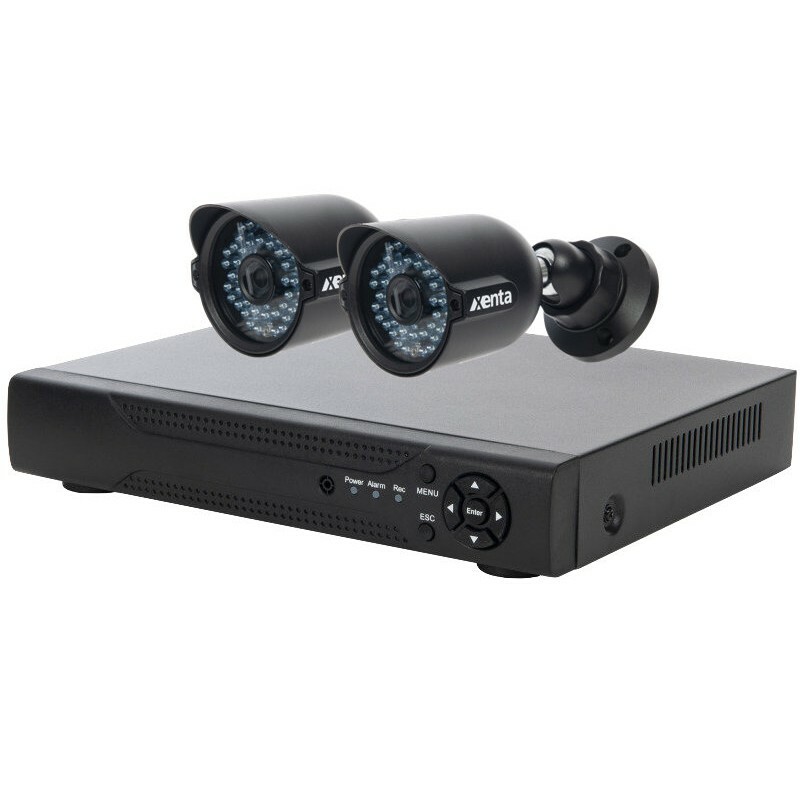 Your Xenta CCTV system has eight channels which means you can install up to eight cameras. You can download the app to control your CCTV onto any smartphone. The app supports multiple users so you and your partner can both log in from your own phones. This gives you the flexibility you need to manage your system even if one phone is lost or isn't working for whatever reason. We all know how bad the British weather can be. Especially during the long winter months. But your Xenta cameras are fully weatherproof and will keep working during extreme conditions. Sun, rain or snow makes no difference. Your cameras will continue to record the high-quality footage you need to safeguard your property.